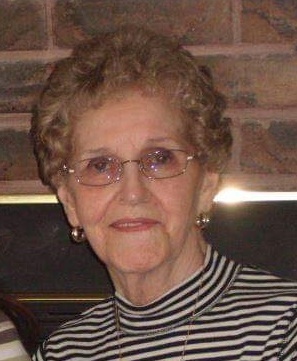 Obituary for Juliette Lorraine (Guillemette) Williams | Hillside Funeral Services Ltd.
Williams, Juliette Lorraine (nee Guillemette) (June 6, 1930 - January 27, 2019) - It is with great sadness that we announce the passing of our mother who died peacefully in her 89th year on Sunday January 27th at Victoria Manor, Lindsay, ON. Beloved wife of Joseph Williams, mom to Raymonde Bissonnette, Odette Tremblay, Fran Lauer, Gerald Tremblay. Step mom to Joanne (Joe), Beverly, Vickie (Gilles), Thomas (Lisa). She will be missed by her many grandchildren, great grandchildren, great great grandchildren, nieces and nephews. She was predeceased by her mom and dad Maria and Adelard and all her siblings. At Julie's request, cremation has taken place, a celebration of life will take place at a later date. Many thanks to the staff at Victoria Manor for their outstanding care as well as several very close dear friends. Mom will be sadly missed by all.